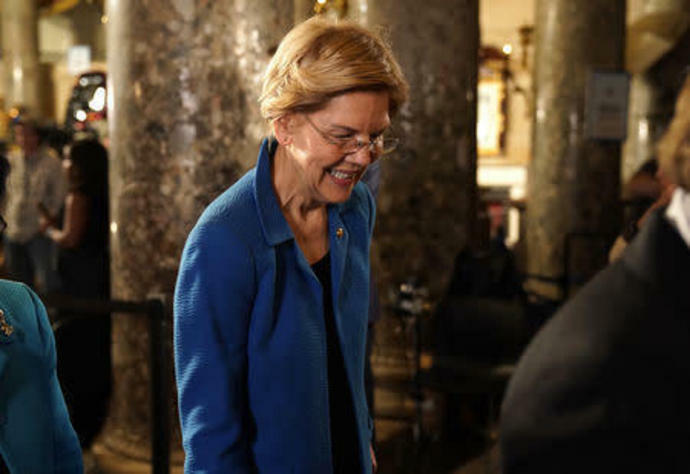 (Reuters) - U.S. Democratic presidential contender Elizabeth Warren identified herself as an "American Indian" in hand-writing on her 1986 registration card for the State Bar of Texas, the Washington Post reported on Tuesday. A photograph of the card posted online by the newspaper shows that Warren listed the university and law school she attended. On a line listed for race Warren wrote "American Indian." The Post reported that Warren apologized during an interview for identifying herself as a Native American. The paper said her office did not dispute the card's authenticity. Reuters reporters have not inspected the card in person.